Imagine sitting on a patio overlooking a vineyard, sharing local wines and cheeses with close friends. Imagine meandering through a garden brimming with fuchsia bougainvillea. Imagine listening to the calming sounds of a cascading stone waterfall fountain. Stop imagining. Buy a villa in Portugal. I’ve been living in Portugal for six years and have seen my share of properties all around the country. When most people think about moving here, they consider Porto in the north, Lisbon and its surrounding area, and the southern region of the Algarve. But go just a little beyond those common zones and you just might find your dream destination. My husband Keith and I did. As I told you yesterday our first home in Portugal was a 200-year-old stone cottage with an inviting red-lacquered wooden door and window boxes brimming with pink hydrangeas. The place was aptly named Pastor, Portuguese for “shepherd” and had once been the home of a goatherd working the adjoining pasture. Inside it was completely furnished with a cozy living and dining room with a fireplace, and two nicely proportioned bedrooms. The rent was $500 a month. We were just 15 minutes from the town of Vila Nova de Famalicão where we did most of our shopping. The university city of Braga was 25 minutes in the other direction and 40 minutes away was Porto, a walkable medieval city set in the hills at the mouth of the dramatic Douro river, with ocean views and tucked away port caves providing tastings and tours for minimal costs, usually around $10. We came for the climate—Mid-Atlantic in the north, mild and temperate in the center, and Mediterranean in the south. The cost of living was a huge draw. (Our expenses are rarely more than $2,000 a month.) The Portuguese people’s welcoming attitude to expats sealed the deal, and we were surprised just how many people spoke English. If I had to choose one word to describe the difference between life here and in the States, it would be “relaxed.” Much of this country is filled with gently rolling hills and terraced farmland; pine trees, palm trees, and water (on every road trip, you’re guaranteed to cross a river or two—or three). Insider Tip: The most affordable properties in Portugal you’ll find in the north near the Spanish border, and in the interior in the Beira Baixa, where Keith and I have chosen to live. The prices for property in these areas can be half what you might pay in Porto or Lisbon. Finally, after years of renting and exploring we decided to buy property. We had an offer of $250,000 accepted on a five-bedroom home with a mountain view, sitting on four acres of landscaped property, with pine and cherry trees and some modest vines in the Beira Baixa region. You won’t find a Multiple Listing Service in Portugal, no consistent cooperation between real estate agents, and trying to arrange to see a property can take days or weeks—or never happen. But…some months, several real estate agents, and a dozen houses later, we found our dream villa…and you can too. For your own stunning Portuguese villa, head to the Leiria region of central Portugal. I came across a great deal in the town of Arrabal here. For $280,000 you can get a four-bedroom villa with fruit trees and mountain views. It’s bright, modern, 30 minutes’ drive to the mountains, and less than an hour from the ocean. Insider Tip: We wanted land and a quiet location close to a village. But if you’re looking for something smaller in a suburban town, then $150,000 is more than enough to realize your dream home. That should net you a comfortable two-bedroom, two-bathroom apartment in a modern building within easy walking distance of everything. 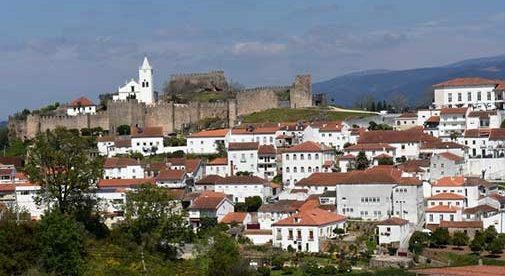 Penela has a weekly market, fairs and festivals, post office, a health clinic, tennis, library, proximity to praias fluviais (river beaches), and the four-star Duecitânia Design Hotel. Listed at $295,000 is a four-bedroom villa on the edge of Besteiro with views of the surrounding mountains and forest. The spacious veranda overlooks a large pool and a huge terrace with traditional Portuguese concrete and stone barbeque. As the interior is designed with two separate kitchens and privacy doors, you could rent a portion. Buying real estate in Portugal is a somewhat complicated process. First, an offer is made by the potential buyer. This does not require a deposit. In a round of good faith negotiation, papers are exchanged regarding the sale price and deposit. Eventually a contract is prepared. When signed, the deposit that both sides have agreed upon is given directly to the seller, not into an escrow account. Despite our respectable Portuguese, we had made sure to engage a bilingual real estate agent. We needed a mortgage, and found our bank officers well-prepared to handle transactions in English. There was a learning curve with cultural idiosyncrasies in the process, but it was doable. The good news is that labor is inexpensive here by North American standards. With luck, patience, and help from a neighbor, we found professional tradesmen. Occasionally someone would come to assess a job, promise an estimate, and we never saw him again. Or a usually reliable worker wouldn’t show up for a few days at a time (think A Year in Provence). Overall, though, we’ve had tremendous success, and some of these folks have become wonderful friends. Insider tip: There’s no payment in advance for work in Portugal. We didn’t pay the painters a penny until half the job was complete. An exception might be expenses for materials, but we avoided that by purchasing them ourselves. In the process, we bought a truck and a tractor. Goodbye New York City (my home town), hello Green Acres.